When life-sustaining devices depend on an effective network, a system outage can literally become a matter of life and death. Healthcare provider and patient safety depend on quick resolution to IT problems. End-users not being able to get the help they need–or know the status of their problem-can create needless chaos. Provide quick and transparent IT support that healthcare professionals and patients can count on. Know the location and status of all IT devices and equipment with integrated asset management. Help ensure priority issues are handled first with dynamic ticket assignment, routing, and escalation. Maintain a constant stream of communication between support staff and end-users through and through. Hospital and healthcare institutions’ staff relies on IT services to quickly resolve technology issues and cannot afford lengthy delays caused by outages and or IT issues, especially when patient care is impacted and life-sustaining devices are involved. Help desk software plays a critical role in responding to these technology emergencies, allowing proper tracking, management, and escalation of IT issues as needed. 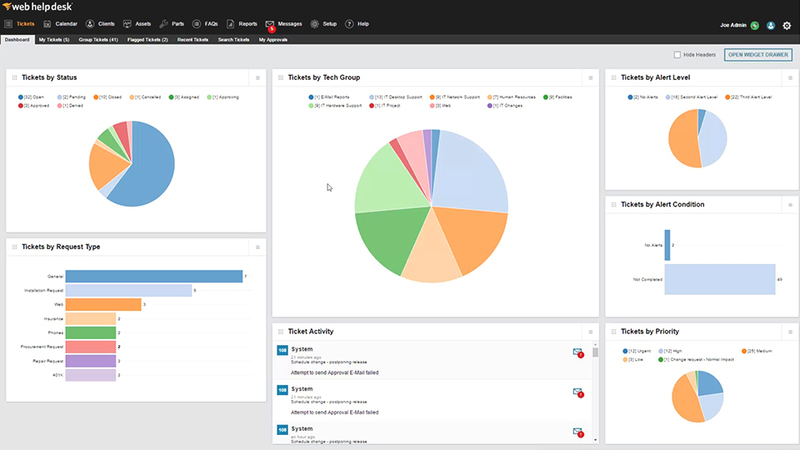 Combining a robust ticketing system with leading IT asset management capability closely connects support teams with frontline end-users and speeds critical issue resolution. Without integrated asset tracking, healthcare IT support teams face endless challenges when providing support. Tracking down details on parts, billings, recalls, system updates, or scheduling replacements can present a massive time and resource burden on support staff that is already stretched thin. Built-in IT change management functionality for assets enables Web Help Desk® software users users to accurately track and manage inventory, link assets to IT tickets , track asset history, and help ensure that all devices are accounted for and receive the necessary inspections, maintenance, repairs, and updates. 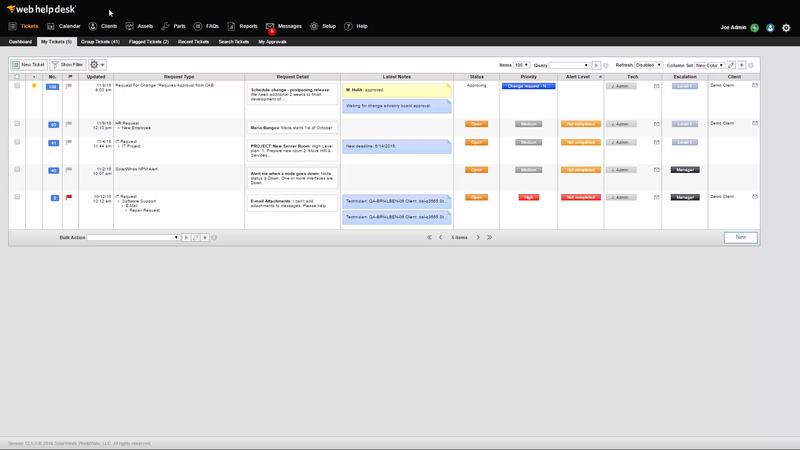 Effective help desk software adapts to your organization's triage and escalation process. Easy-to-configure technician groups and tiered fulfillment levels facilitate intuitive service for ticket resolution. As medical technology fails, users can escalate issues easily, leading to healthy patients and satisfied stakeholders. Communication with support end-users is essential in any organization, but even more so in a healthcare setting. Help desk software allows users to communicate with the IT team via multiple mediums, enabling the help desk software itself to act as a central repository for knowledge base documenting these interactions. Of course, utilizing a user-friendly help desk interface facilitates faster communication and speeds up support delivery. When resolving IT issues is paramount, that same level of communication needs to be bi-directional. Help desk software allows not only effective communication on the status of tickets via a web portal, but also by way of email and SMS messages. Web Help Desk is an industry favorite. Hands down. "We are able to resolve tickets in a timelier manner and our customer sat scores are improving. Staff are documenting more information and we are creating self-help pages as a result."